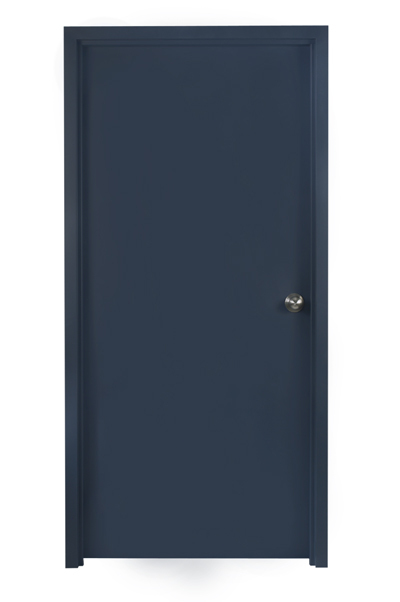 The GenGuard II Series is steel stiffened door with interlocking stiffeners that are spot welded to each door skin. The specially designed interlocking steel stiffener increases door rigidity and eliminates the rattling noise effect commonly associated with spot welded steel stiffened doors. Steel stiffeners are securely spot welded to door skins at 6″ o.c. All voids between stiffeners are filled with fiberglass or rockwool insulation. Standard doors are 1 ¾ in. (45 mm) thick and are available in 14, 16, 18, and 20 gauge galvannealed steel. The GenGuard II Series is also available in G90 galvanized steel. Steel stiffeners are bonded to face sheets.